Last weekend I was honoured to attend the first Integrative Fertility Symposium here in Vancouver. 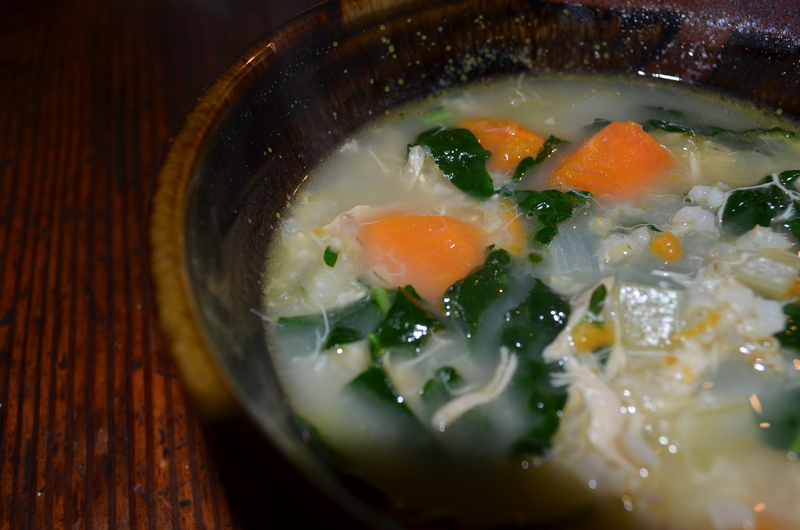 One hot recommendation for fertility patients (both male and female) is to make and drink bone broth soup daily. The gelatin in the broth protects and rejuvenates the mucosal lining of the digestive tract which helps with absorption and digestion of nutrients. Turns out the broth is excellent for fertility, reducing allergies, autoimmune diseases and much more. 1. Place chicken and/or bones in slow cooker/crock pot. 2. Add vinegar, salt, garlic, water and vegetables. 3. Add more water if needed to cover bones & veggies. 4. Cook the mixture on low for 24 hours (at least). 5. Pour the broth through a fine mesh sieve to remove bones and veggies. 6. Store in fridge in glass jars. (You can skim off fat once it rises to the top). 7. Heat up 1 cup at a time for drinking. 8. Put any broth that won’t be used for 4-5 days in the freezer and thaw when needed. I drink my bone broth at lunchtime, sometime with an egg cracked in it for an egg drop soup. How do you like yours? Let us know by posting below.